A car was spotted in Abuja with "you will die before the President" written on it. Description : A car was spotted in Abuja with "you will die before the President" written on it. Strong Buhari supporter!!! 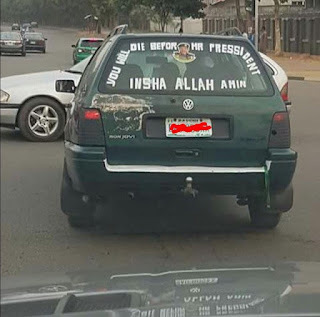 0 Response to ""You Will Die Before The President" As Seen Written On A Car In Abuja (photo)"